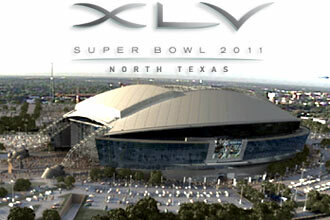 It’s Going to Be Super in North Texas in 2011! Thanks Laura Miller for the opportinity to work less than 1 mile from the new Cowboys Stadium here in Arlington which was just announced by the NFL as the host of Super Bowl 45! I love mayors that lack foresight and vision! I just hope the Cowboys can find a way to be in that one and that someone will give me the $3,000 needed to get a endzone seat ticket…. Over thirty years ago this week….today actually….the most amazing sci-fi movie in history was introduced into our lives as Star Wars was born! Characters like Luke Skywalker, R2-D2, C-3PO, Chewbacca, Princess Leia, Han Solo, Yoda, Obi-Wan Kenobi, Anakin and even Jar-Jar have since stamped our hearts with great memories and fun. I am no Star Wars guru (ehemmm Dave Curlee) but I will never forget mom taking me to see this incredible movie 30 years ago as a young lad. We stood in line outside the Gulf Gate Mall movie theater in Houston as the line went around the building and was hundreds of people long! Generations of kids have come and gone and yet Star Wars remains one of the most loved movie series of all time. In 10 years or so I fully expect my girls to get their first real memory themselves of watching Star Wars for the first time. Thanks George Lucas for using the Force! 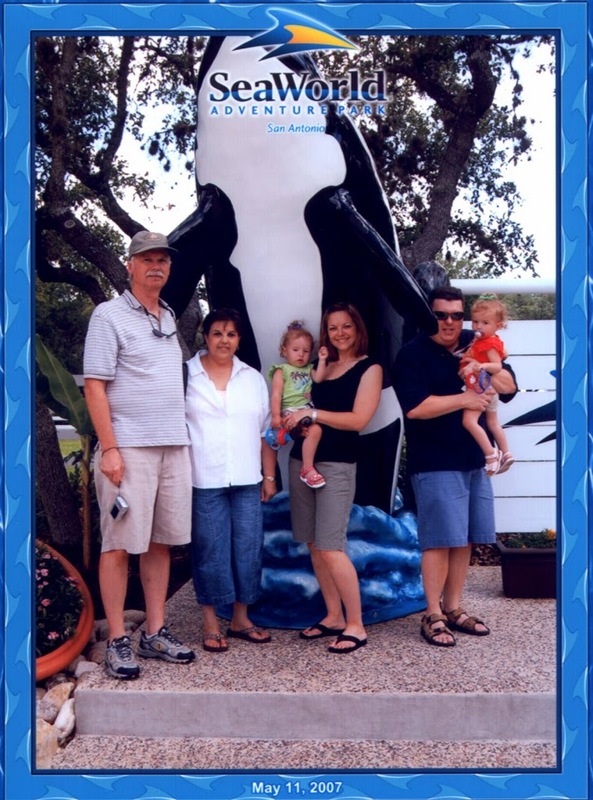 Shamu dinner, I mean dinner with Shamu, was a real treat this week as the Brady Bunch along with Julie’s parents took over the San Antonio area for some family getaway time! Some people, like Mavs owner Mark Cuban, might claim the Riverwalk is overhyped, over-rated and dirty, but we think otherwise. We’ve been to many popular vacation spots in the country, but our home Texas flavored town is one of the best! 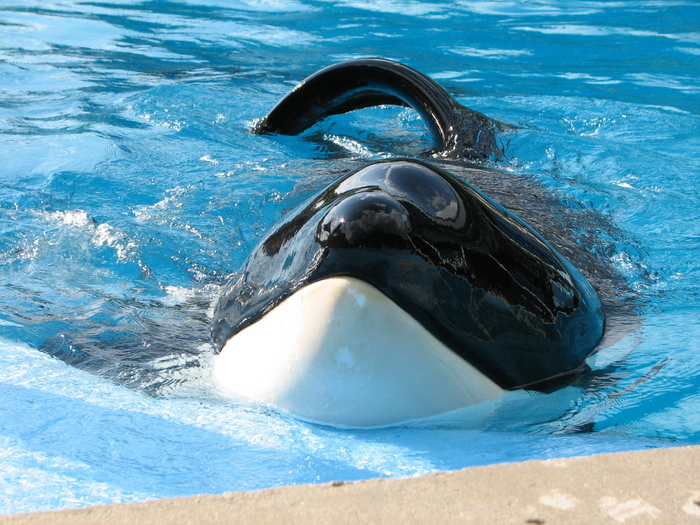 We visited the zoo, walked to Riverwalk, ate at La Margarita’s with the Tercek’s, and tore up Sea World by finishing off our visit there with a private “dinner with Shamu” party! What a great time we had. Enjoy the pics and see much more on our website as usual! Don’t forget the Alamo and get yourself to San Antonio soon! It’s well worth the price of the meal! The City of Dallas….What a Choke! 2007 has not been a good year for sports fans in the DFW area. The city that has produced 5 SuperBowl championships and 1 Stanley Cup champion is failing in its quest to become a city of champions. In the 4 major sports, we only have 6 to go around. Not good. And 2007 is doing all it can to establish Dallas in a whole new light. A year ago I wrote in shock after the Dallas Mavericks choked away their first NBA championship to Miami in 6 games, after being up 2 games to none. I had no idea a year later it would get even worse. It all started in January as the Cowboys defense and Tony Romo literally dropped the ball in the playoffs, round one. Then came the Dallas Stars who got booted in the playoffs, for the 3rd year in a row, all 1st rounders. Finally, came last nights debacle of the NBA best record, #1 seeded Mavs, losing to the #8 seed, “schmoes”, Golden State Warriors (who? ), getting their hydes tanned by 25 in game six, again in the first round. Next are the Rangers…..need I say more? A long sports summer is ahead. I am depressed.